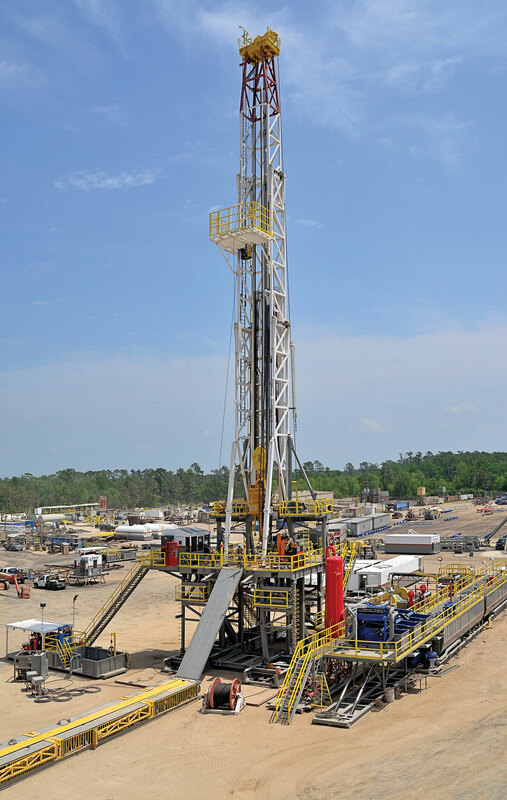 Integrated Drilling Equipment’s Sparta Rig features a flexible modular design. 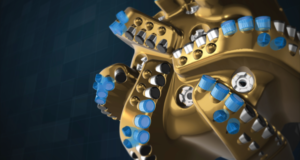 Integrated Drilling Equipment (IDE) has fulfilled its 12th contract for the Sparta Drilling System, increasing its presence in the North American shale plays. 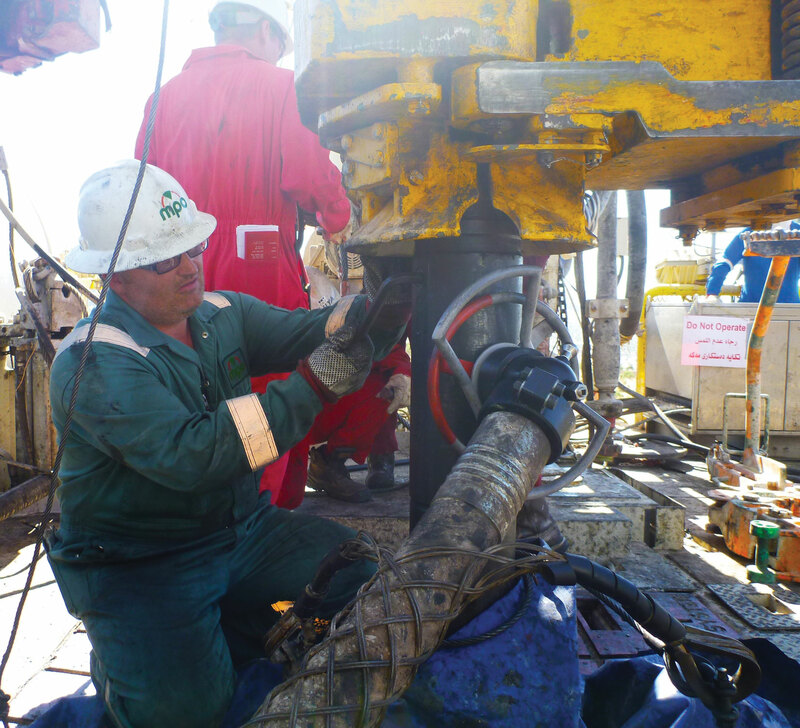 The fast-moving Sparta rig is designed for well programs where drilling time is minimal. The flexible modular design is capable of rigging up the V-door in either the X- or Y-axis position from well to well, meeting strict US Department of Transportation load limitations. 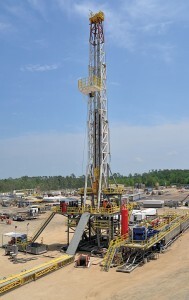 All Sparta contracts have been for complete rig packages, designed, built and tested at IDE’s Houston facility. 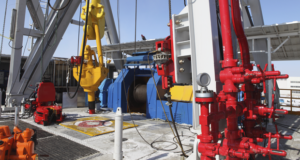 The Sparta drilling package includes: AC technology, cable festoon systems, alternative fuel upgrades and advanced drilling controls, with options integrated skidding systems and automation upgrades. IDE recently acquired S&P Drives Automation Controls. Now as International Electric Company Automation and Controls (IEC), the new division will operate with support from IEC Systems – a full-service electrical design, engineering, manufacturing, supply and installation division of IDE. James W. Swent III has been promoted to Ensco executive vice president, effective immediately. Mr Swent had been senior vice president – chief financial officer since 2003. 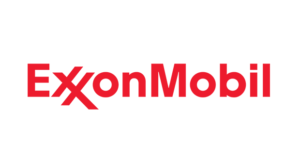 “His business acumen and financial expertise have been instrumental in our redomestication to the UK in 2009, our major acquisition in 2011 and our organic growth through new rig construction, all while maintaining a strong financial position,” Dan Rabun, chairman, president and CEO, said. Murchison Drilling Schools (MDS) recently expanded its staff. Bob Dein was hired as a lead instructor. He holds a bachelor’s in petroleum engineering from New Mexico Tech. Mr Dein spent 32 years with Chevron, where he worked as an engineer, wellsite leader and superintendent. Bob Haagensen has been hired as an instructor. He has a master’s from Western State College. Mr Haagensen has 16 years of experience in teaching and 32 years of operational experience. Prior to joining MDS, he worked for MI Drilling Fluids. V&M Star, a Vallourec group subsidiary, recently pierced the first shell from its new plant in Youngstown, Ohio. 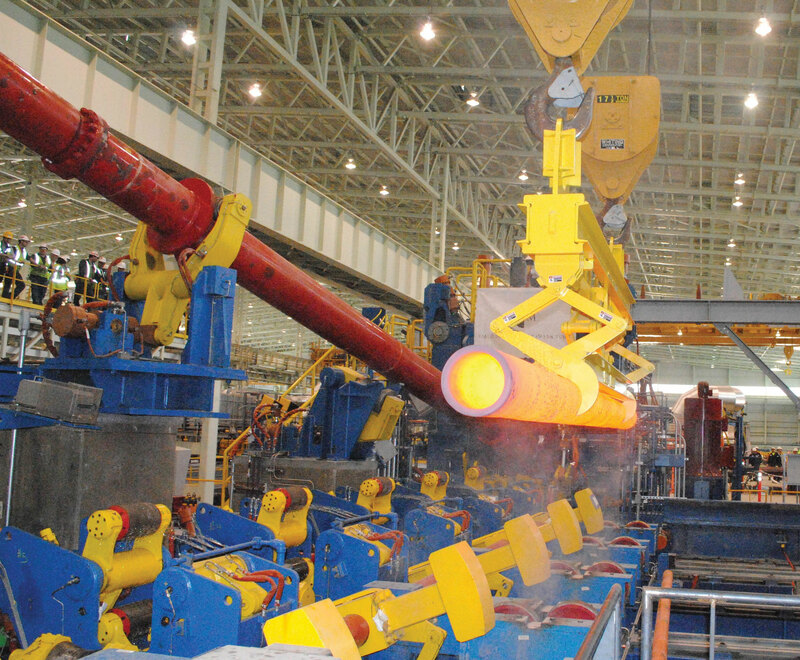 The new plant will produce up to 500,000 MT of seamless pipe in sizes 2 3/8 in. 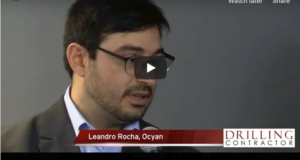 to 7 in., to serve the shale oil and gas market in North America. GE has acquired PRESENS, a provider of pressure, temperature and flow measurement solutions. 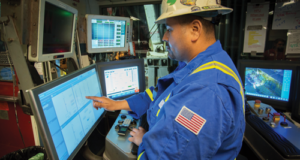 The acquisition expands GE’s portfolio of sensing solutions and will be part of the company’s Measurement & Control business within GE Oil & Gas. Headquartered in Oslo, Norway, PRESENS provides sensors specializing in high-pressure measurements and severe environments. 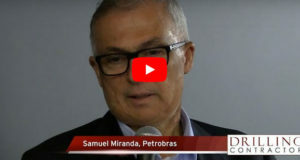 Armada Oil has entered into a geophysical data acquisition agreement with Geokinetics USA to conduct a 3-D seismic survey on Armada’s strategic acreage position in the developing Niobrara oil play. The survey will cover approximately 41.05 sq miles (26,272 acres) in and around the Laramie and Hanna Basins in Southern Wyoming. 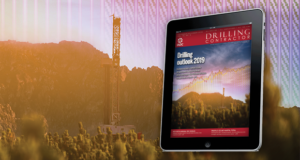 “We plan to drill two wells by year-end in the Niobrara and are eager to be working in tandem with Geokinetics to record and interpret information that will enable us to identify high-potential drill targets,” Armada CEO James Cerna said. 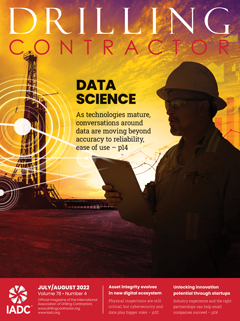 To help operators optimize completions and reduce HSE exposure, Halliburton recently opened additional remote operations command and control centers serving operations in North Dakota, the Mid-Continent region, and the south Texas and southeast Texas/Louisiana areas. These new centers join the facility already serving operations in Wyoming. Separately, Boots & Coots, a Halliburton business line, has enhanced its pressure control offerings with the acquisition of Old School Services. 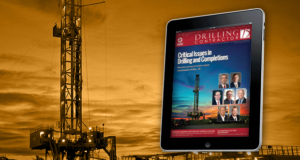 The acquisition gives Halliburton the resources to provide operators with the through-tubing equipment required to resolve production challenges faced by the growing unconventionals, horizontal drilling and multistage completions markets. 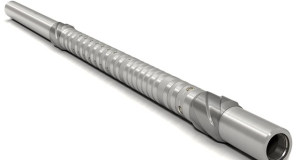 The Non-Stop Driller Continuous Circulation system can be used in conventional overbalanced drilling, extended-reach drilling and HPHT wells, among other applications. To maintain constant bottomhole pressure (BHP) and enable continuous hole cleaning during connections, Managed Pressure Operations International has developed the Non-Stop Driller (NSD) Continuous Circulation system to prevent wellbore ballooning, stuck pipe incidents and connection gas buildup to significantly reduce NPT. The NSD is being used in operations from the US to the Middle East to Asia. The NSD sub consists of a ball valve and custom-designed, high-pressure side-entry connection valve and can be prepared to accommodate all drilling pipe connection sizes and types. 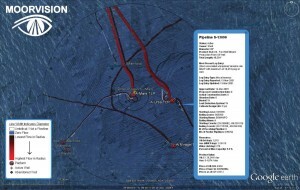 The system can be used in a wide range of applications, including conventional overbalanced drilling, deepwater operations, extended-reach drilling of long, high-angle or horizontal sections, HPHT wells, air and foam drilling, managed pressure drilling operations and underbalanced drilling operations. 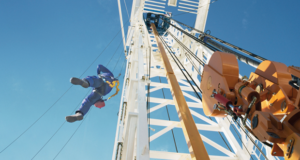 SmartCare, Baker Hughes’ line of environmentally responsible solutions, now includes drilling and completion fluids, production chemicals and additives used in cementing and stimulation operations. SmartCare products are certified to meet or exceed global regulatory requirements, as well as Baker Hughes-specific product requirements and specifications. 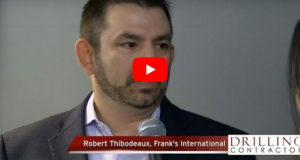 The products includes 106 certified solutions and an additional 68 solutions are in the process assessment phase, Harold Brannon, Baker Hughes vice president of technology – pressure pumping, said. Further, the LATIDRILL water-based drilling fluid system, which was modified according to SmartCare guidelines, was introduced last month. 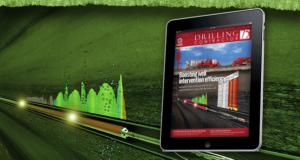 The system aims to enhance wellbore quality and increase drilling efficiency in extended lateral sections in unconventional shale plays. Laboratory and field testing shows the system can improve wellbore stability by controlling the clay hydration typically associated with the use of a conventional water-based fluid. Aquaterra Energy has completed the design, supply and installation of a platform supported dewatering riser system for a Petrofac platform in the Southern North Sea. 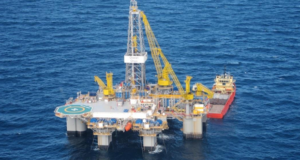 The Aquaterra Energy dewatering riser system comprises four flanged riser sections, complete with integral centralizer fins and landing shoulders and allows for the controlled drainage of water from the unmanned platform’s degasser unit to the sea. A cellar deck assembly was also designed and manufactured to install the riser system joints. Sioux Corp’s SCR Advanced Temperature Control for the EN-Series All-Electric line of hot water pressure washers and steam cleaners allows for regulation of the outlet water temperature. By minimizing extreme fluctuations, which cause expansion and contraction of the element, the SCR extends the life of the heating element by up to 20 times. 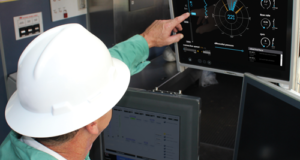 Forum Energy Technologies has released the VMAX Editor 1.0 and VMAX ROV Simulator 2.5. VMAX Editor 1.0 allows the rapid creation of offshore simulation scenarios. The simulation-editing tool provides a preview of the scenario with complex tooling interactions and allows the user to modify and place items within a scene by dragging-and-dropping. The tool provides a classic 3D-view of the project field, as well as a free camera view that allows the developer to fly around the scene and validate their designs. VMAX ROV Simulator 2.5 is the latest version of Forum’s core simulation software. 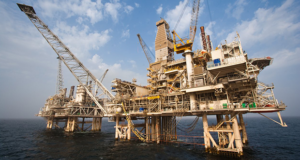 InterMoor, an Acteon company, has launched MoorVision, a software system that provides up-to-date photos of the infrastructure in any area in the Gulf of Mexico (GOM) using Google Earth. The MoorVision system helps to cut time and effort required to gather information about well, pipeline and platform production data by accessing and presenting available information from the Bureau of Ocean Energy Management.